The Porsche 959 is a significant blip in the company's history, and is often hailed as one of the cars most ahead of its time. During its short production run, the 959 boasted the highest top speed of any street-legal car (195 mph), and was one of the first supercars equipped with all-wheel drive. Former racing driver Bruce Canepa recognized the 959's potential, and was personally responsible for bringing the car to American roads. He founded Canepa Design in 1993, which began developing performance upgrades for the 959 a decade later. The company's 959 upgrade package has evolved through the 2000s, and last Friday Canepa announced the third iteration. The Generation III upgrade essentially replaces the 959's sequential twin-turbochargers with a parallel Borg-Warner twin-turbo setup, adds a louder exhaust system, and upgrades the clutch and other components to handle the power increase, which is significant. Factory 959s made 444 horsepower out of the gate, but the Canepa-tuned 959 now makes a blistering 763 horsepower and 635 pound-feet of torque. In addition to the power bump, the Canepa power upgrade adds a modernized version of the 959 S suspension system, optimized for better handling and ride quality. Working with Michelin, Canepa also upgraded the 959's standard wheels to be able to use modern tires. The final new feature is a subtle one, adding better illumination to the 959's original headlights. While buyers can have their own 959s equipped with the performance pack, Canepa will also build 50 resto-modded 959s called the 959SC (Sport Canepa) that provide a more in-depth modernization. Just like what the car its based on did to supercars in the late 1980s, the 959SC is designed to bring the Porsche 959 into the modern era, complete with significant performance enhancements and new exterior/interior features. The 959SC benefits from the Generation III performance upgrade of course, but it also receives a Concours-ready paint and body overhaul. 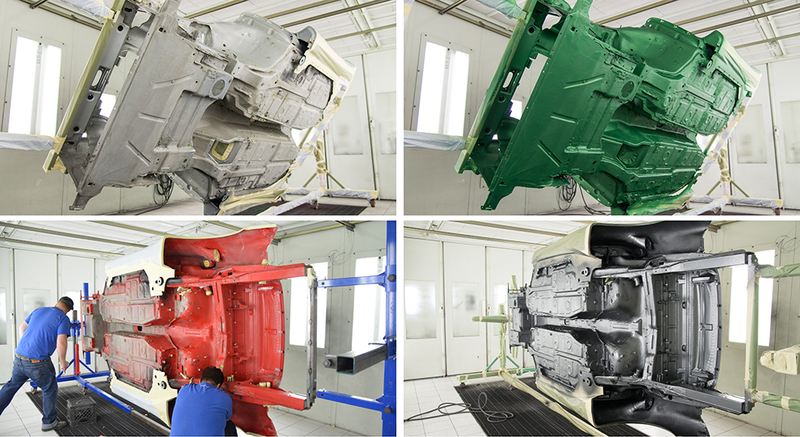 To create each car, Canepa finds a pre-owned 959, completely strips it of all of its parts, and then painstakingly inspects and prepares the body for a new paint job over the course of 500 hours.The 959SC is paint-to-sample, so buyers can choose almost any color for the 959 they want, and no two SCs are alike. 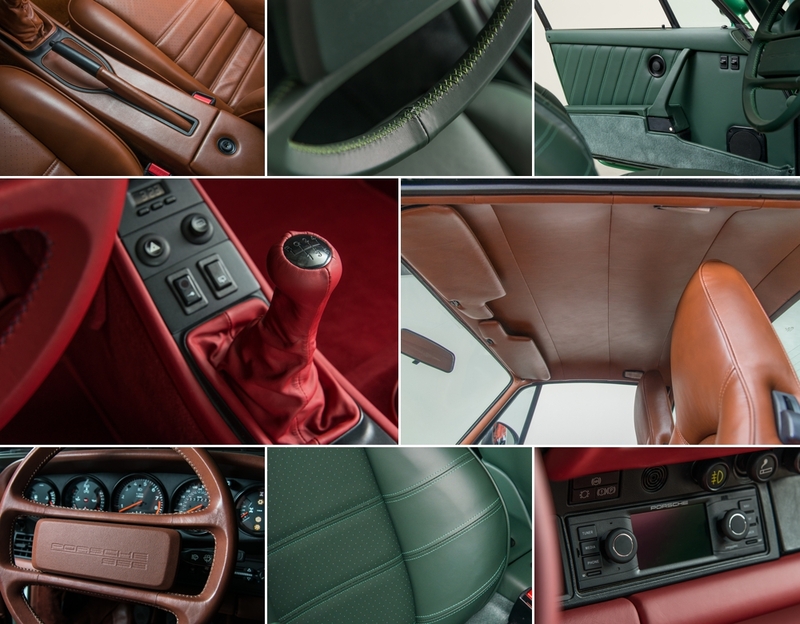 In addition, the 959SC gets a full cockpit makeover with a brand new natural leather interior, a process that takes about 300 hours to complete. The upholstery is complemented by a new hand-stitched leather steering wheel and Porsche Classic sound and navigation system. "The Canepa Porsche 959SC delivers modern-day performance without sacrificing luxury and comfort for the driver, the ultimate goal," explained Bruce Canepa. Canepa's services are certainly niche, considering only about 292 production Porsche 959s were ever built, but a car as innovative and important as this one deserves to be modernized. That is, if you can pony up more than $2 million for one, not including what the performance upgrades might cost.